Wrap up the work week with this awesome and insightful interview with Dan Drehobl at Chrome Ball. He discusses the highlights and tough spots of his long skate career, smoking, nicknames, all-terrain skating, China Banks, diabetes, his backyard ramp, the forthcoming Krooked video and much more. “Hey Mark, what should we do to surprise Ronnie with his boards?” … “Let’s go to an archery range, it’ll be fun!” With that, the plan was set. 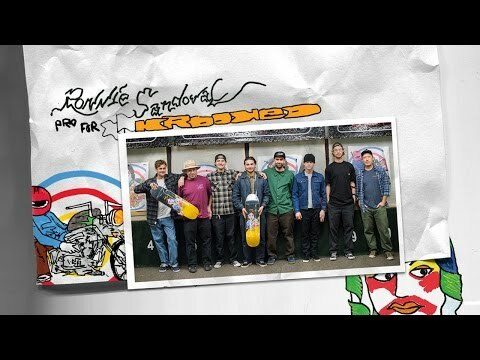 The Krooked Team, along with Ronnie Sandoval’s friends and family, met up at the local archery range to surprise Ronnie with his pro board. His face was priceless when he realized what was happening. “Those are your pro graphics!! !” The Gonz chimed in to make sure he knew what was happening. Congrats Ronnie! The Ronnie Sandoval Surprise video is live on the Krooked site with photos by Gabe Morford. It’s officially official – Matt Gottwig gets welcomed to team Krooked with his first ad, plus a new Zinger edit with Sebo Walker and Dan Drehobl. Get busy Zingin’ or get busy Dyin’.